`I love this sort of life: visiting the Maori, sleeping at their places, organising my house, etc.' A French Marist priest, Father Antoine Garin was sent to run the remote Mangakahia mission station on the banks of the Wairoa River. 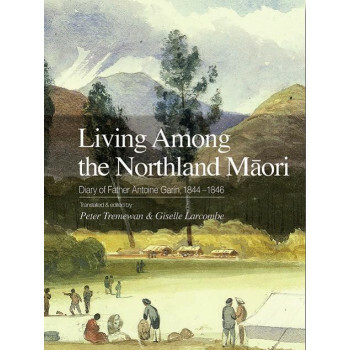 'Living Among the Northland Maori' is Garin's diary recording his experiences from 1844 to 1846 as he gets to know the Maori in the region. The diary provides vivid accounts of contemporary events, as Garin came dangerously close to the action of the Northern War, and wrote of such prominent figures as Hone Heke and Kawiti as they opposed the new colonial authorities. Above all, the diary is an intimate record of life in a Maori community in which Garin describes the close relationships he formed with his new neighbours - from his young followers and local families to the chiefs who offered him protection while he lived among them. This is the first full English translation of Garin's surviving Mangakahia journals and letters. Frank, open-minded and often humorous, Garin's diary is a major contribution to the early history of European settlement in Aotearoa and a compelling insight into Maori customs, values and beliefs of the time.